This bag from my shop was recently featured on the blog of the customer who purchased it. Here is an excerpt, if you want to read the whole post click here. "Every now and then, a special something comes across my way and there is NOTHING I can do to control myself from doing something regretful in order to get it. No, I'm not evil, I'm just determined! So, I was cruising etsy's front page (seems as if that is ALL I do these days) waiting for Godot and PAZOW, I saw it...the coolest bag EVER. I just knew I had to have it. So, I sacrificed my cable bill this month for this awesome bag!" WOW! 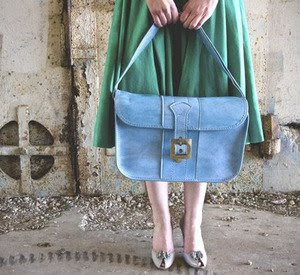 that is a gorgeous bag!! Hey natalie, I OWN that bag and I love it! I'm so happy that I discovered Salvage Life!